and will move out of that environment when the conditions become unsuitable for its reproduction. So what we find is the as we make changes to our environment whether that is out in the paddock or within our gardens the composition of plants will change following the rule of succession. In some cases this could be the incidence of undesirable plants. Some of these plant however have established to try and reinstate a balance within the system and are indicators of soil conditions. For example if we create bare ground then given the right moisture conditions plants that love bare ground will establish – such as Bathurst Burr (Xanthium spinosum). Or if we have an area of compacted soil then plans such as dandelion (Taraxacum). So if we treat these in the “conventional” manner and choose a spray that targets that plant and proceed to spend out time and $ on control, we will most likely only have limited success. Because we have not changed the conditions that allowed that plant to establish in the first place. Now some plants have similar conditions to our desired and favorable plants and if this is the case then maybe we need to look at what we are doing management wise that is stopping our desirable plants to survive and thrive against the competition of the the “weed”. The following is an article by Bruce Davison, who has let me republish this here. African Lovegrass (Eragrostis curvula) is a plant of concern in grazing areas across Australia, and because of these a lot of investment is going into its control – attempted control. Bruce presents a different approach to control that works on changing the environment. A great of example of applying these principles and the Rule of Succession in action is Greg and Sally Chappell from Shannon Vale Station near Glen Innes – WEED CONTROL WITHOUT HERBICIDE IS NOT A LOAD OF BULL. The Mechanism by which African Lovegrass Establishes on Agricultural Grazing Land and Lovegrass as a pasture. By Bruce Davison. 30th November 2012. This article is written for farmers and land managers, to aid their awareness of the mechanism by which Lovegrass establishes on their land, to assist them to prevent establishment and to assist in the removal of Lovegrass already established. For those who already have a high level of Lovegrass it is hoped this will assist them to gain financial benefit through their management of Lovegrass. It is not intended to be a scientific paper on the subject and clearly is not of that standard. However, the reference to chemical laws are just that, laws of chemistry as stated in Biosphere: The Realm of Life, Wallace, King and Sanders. Cell transport-Movement Across The Cell Membrane, pp 70-77, and Biology: The unity and diversity of life Starr and Taggart. 5.6 Protein-Mediated Transport pp 86-87. The biological process of cellular water, energy and nutrient exchange has been researched and validated to such an extent that it is considered to be a natural law of chemistry. The evidence cited by Albrecht refers to these same laws. This article does not include the two-way flow of processes between species of symbiotic interactions called mutualism. This article is intended to demonstrate the relationship of soil fertility and plant species distribution. these activities (except for erosion) take place on soils of high fertility Lovegrass does not establish. If we are aware that Lovegrass is only able to establish on low fertility soil and we act to address soil fertility, we will then be able to prevent this happening or remove this plant where already established. Biology is environment dependent so plant species distribution indicates the state of soil development or nutrient depletion within the soil. Plants of low mineral content establish and thrive on low fertility soils and plants of high mineral content establish and thrive on high fertility soil. Although nutrient cycling may lift the fertility (possibly to high levels) of an otherwise low fertility soil, once disturbance takes place and nutrient cycling slows or stops, it is the low fertility of the parent soil that permits Lovegrass establishment. Therefore it is important that we recognize the species we see colonising our land, as a reflection of the state of our soil. Research by Albrecht et al has shown that when mineral availability declines to a sufficiently low level, high mineral plants exchange nutrients in reverse, that is, the plant gives up nutrients to the soil. At this low level of available soil nutrient the plants that require higher levels of minerals struggle to survive and are replaced by plants that have a much lower mineral requirement. This process is compliant with the laws of chemistry (equilibrium). We measure soil fertility by the amount of chemical elements the soil is able to contribute to plants. This contribution to any plant species is small. For many plant species it represents up to five percent of the dry weight of the plant or less. Air and water converted into biochemical combinations by the energy of the sun constitute the bulk of most plants. This process of carbohydrate synthesis – the dominant one of all plant growth activities – can be carried out, or even initiated, only as the soil contributes from it’s store of essential nutrients. The declining supply of soil fertility must of necessity shift the plant population more and more to those kinds whose final composition represents less from the soil and more from the air and water. Of these plant species, nutrients from the soil represent just one percent of the final composition of the plant. Such plants are referred to as fuel plants – less protein and mineral and more carbohydrate (carbonaceous plants). Naturally lessened possibilities for proper animal and human nutrition must accompany these changes. Soil nutrient depletion over time, whether by harvested produce or precipitation is identified by quantitative chemical analysis of the soil. This depletion is hastened by declining soil organic matter enabling Lovegrass’s continued spread. When nutrient availability, in correct balance, rises to a level suiting those plant species whose final composition consists of five percent soil minerals (proteinaceous plants), these species re-establish dominance and carbonaceous plants recede. The on ground evidence complies with these laws of chemistry and plant species distribution. When soil nutrient availability begins to increase, the palatability, digestibility and nutrient value of Lovegrass also rises (Firn 2009). At this stage, new growth of Lovegrass provides good grazing for livestock. When nutrient availability reaches a given higher level, (not yet determined), Lovegrass succumbs to this higher level of soil fertility and is replaced by more desirable proteinaceous plant species as this is the environment required for the latter to thrive. Although Lovegrass requires careful management, when it is the only species in a pasture, management is very much easier as there are no other plants to consider. In mature stands initial intervention will be required to stimulate young growth, slashing is the preferred option for nutrient cycling reasons, although on large properties this may not be practical or affordable. Burning is another option although loss of nutrient will render the land more suited to Lovegrass. Trampling by livestock is the best treatment however difficult to achieve. To keep Lovegrass in new vegetative growth in its growing season- September to May, and when soil moisture supports growth, this plant requires intensive grazing management and best results will be achieved from a rotational grazing system which provides a three to four week recovery period. Timing will become a key factor to success. When managed appropriately this plant is very productive and livestock perform well. New growth of Lovegrass grown after the end of February will provide fair to good winter feed for livestock, especially cattle. When lovegrass is only a patchy invasion in a mixed species pasture, management is very difficult due to its (lovegrass) very fast growth rate. Slashing is possibly the only intervention possible to stimulate new growth and grazing frequency in order to keep Lovegrass young will not suit other species, especially natives. In this situation raising soil fertility may be the best option however care is needed in order to prevent a shift to annual species. Here grazing management will play a major role in the successful outcome. Once we have a clear understanding of the effect the state of soil fertility has on plant species that naturally colonise our land we may be better informed on the necessity to manage to sustain or rebuild fertility within our soil and hence maintain high quality pastures. 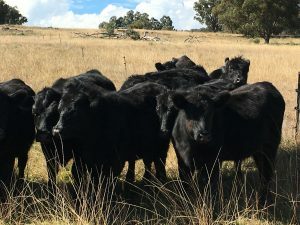 Lovegrass has been shown to produce valuable productive pasture and can be managed alongside other pasture species including legumes and natives. Consideration should be given for the ability of Lovegrass to remain productive during times of low soil moisture and its resistance to drought. It also provides good protection against erosion and has been established in many locations for just this reason. After 10 years of experimentation I have concluded that the successful way to manage Lovegrass infestation is to increase soil fertility. Either to improve its grazing quality which requires only small improvements in soil fertility or to a larger degree for its removal. The key message this article seeks to bring is the link between soil fertility and the prevalence of Lovegrass, that Lovegrass can be a good pasture and that high soil fertility and African Lovegrass are incompatible. I thank Dr Josh Dorrough and Declan McDonald who provided useful and constructive comments which improved an earlier version of this article. The below two photos show the effects of increased soil nutrients.